Apple iPhone 7 Plus is next generation gadgets. It has unique and extended features as compared to other brands and its own family of mobiles. Both Apple iPhone 7 and 7 Plus are most powerful phones ever made by the Apple Inc. This series will be remember for its battery timing and one of the best OS i.e. iOS 10. 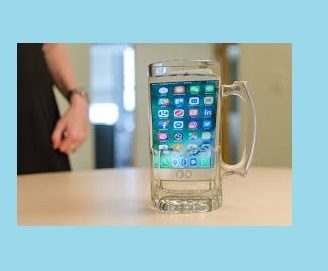 They are water resistant, have improved camera, display and battery timings as compared to its predecessor. Its dual camera is just like DSLR camera as per image clarity and pixel view. Its dimensions are 158.2 x 77.9 x 7.3 mm (6.23 x 3.07 x 0.29 in) whereas nano sim is used in it. 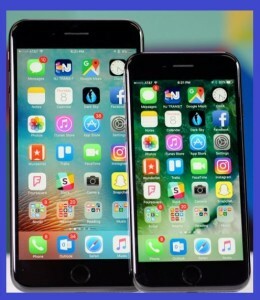 The people hunting for a mobile having good iOS, display and camera then they should opt for Apple iPhone 7 or 7 Plus, because these are the features which are improved and enhanced in these versions. Perhaps another exiting feature of this series is faster speed and processing. Quad-core 2.23 GHz processor fetch and executes instructions at a faster and swift rate. It may be a good gaming device as well. Apple has sacrifice for headphone socket to increase the memory. As phone socket is missing in this set. So if you want to get extended memory and speed then don’t worry about missing headphone socket in this model. Price always matter a lot it is not an economical set its price is on higher side, equivalent to a price of good bike in the Asia and Africa. But if you interested in good features, specifications and speed then there is no alternate other than Apple iPhone 7 and 7 Plus. Price: Apple iPhone 7 (32GB, Black) costs $649.00 and 60,000 in India. Apple iPhone 7 plus (32GB, Black) costs $770.00 and 72,000 in India.